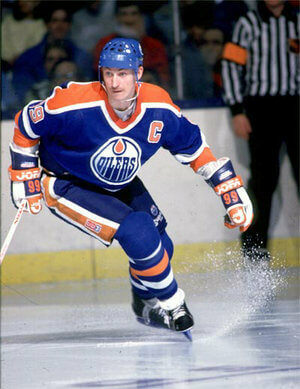 Gretzky break his own assists record three more times (125 in 1982–83, 135 in 1984–85, and 163 in 1985–86); he also bettered that mark (120 assists) in 1986–87 with 121 and 1990–91 with 122, and his point record one more time (215, in 1985–86). By the time he finished playing in Edmonton, he held or shared 49 NHL records, which in itself was a record. The Edmonton Oilers finished first overall in their last WHA regular season. 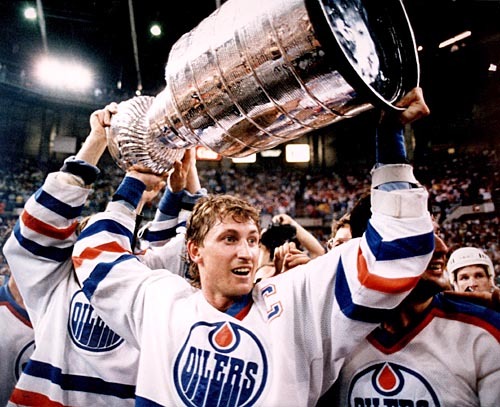 The same success was not immediate when they joined the NHL, but within four seasons, the Oilers were competing for the Stanley Cup. 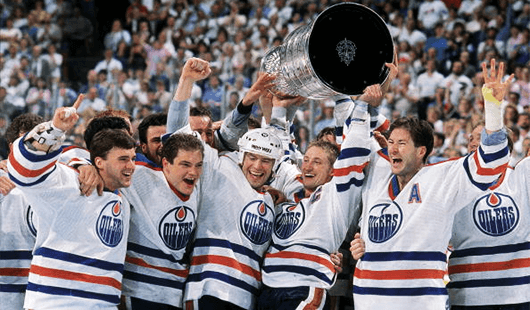 The Oilers were a young, strong team featuring, in addition to Gretzky, future Hall of Famers including forwards Mark Messier, Glenn Anderson and Jari Kurri, defenceman Paul Coffey, and goaltender Grant Fuhr. 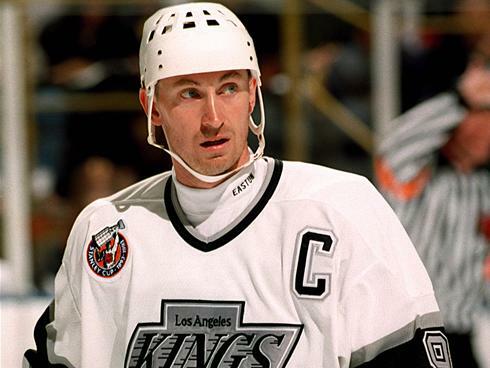 Gretzky was its captain from 1983–88. In 1983, they made it to the Stanley Cup Final, only to be swept by the three-time defending champion New York Islanders. The following season, the Oilers met the Islanders in the Final again, this time winning the Stanley Cup, their first of five in seven years. The 1984 Stanley Cup playoffs, the championship of the National Hockey League (NHL) began on April 4, after the conclusion of the 1983 – 1984 NHL season. 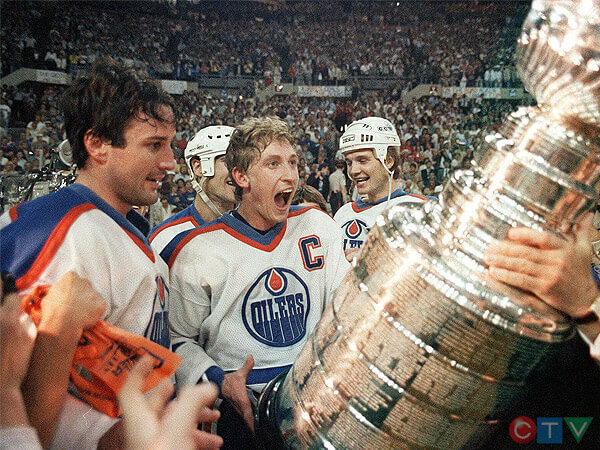 The playoffs concluded on May 19 with the champion Edmonton Oilers defeating the New York Islanders 5–2 to win the Final series four games to one and win the Stanley Cup, the franchise’s first Stanley Cup. The 1990 Stanley Cup Playoffs for the National Hockey League (NHL) championship began on April 5, 1990, following the 1989 – 1990 regular season. The sixteen teams that qualified, from the top four teams of the four divisions, played best-of-seven series with re-seeding after the division finals. The Conference Champions played a best-of-seven series for the Stanley Cup. The Oilers were founded on November 1, 1971, with the team playing its first season in 1972, as one of the twelve founding franchises of the major professional World Hockey Association (WHA). They were originally intended to be one of two WHA teams in Alberta (the other one being the Calgary Broncos). However, when the Broncos relocated to Cleveland, Ohio, before the WHA’s first season began, the Oilers were renamed the Alberta Oilers. 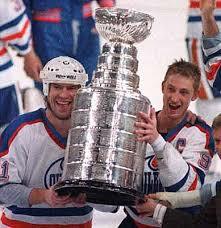 They returned to using the Edmonton Oilers name for the following year, and have been called that ever since. 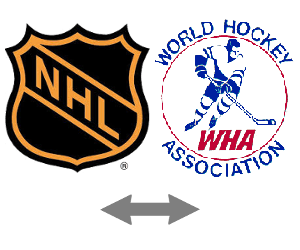 The Oilers subsequently joined the NHL in 1979 as one of four franchises introduced through the NHL merger with the WHA. Oilers – Original owner Bill Hunter previously owned a junior club called the Oil Kings in the 1950s and 1960s, with Oilers being a popular nickname for the team. When he founded the Alberta franchise in the World Hockey Association in 1972, he named the club Oilers. Hunter changed the team’s name to the Edmonton Oilers. Oil is one of Alberta’s most prevalent natural resource, the province has the world’s third-largest reserves. 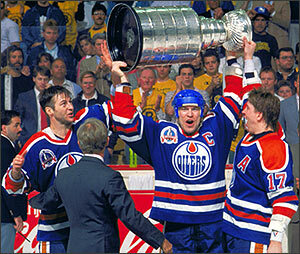 Who is the greatest Edmonton Oilers?